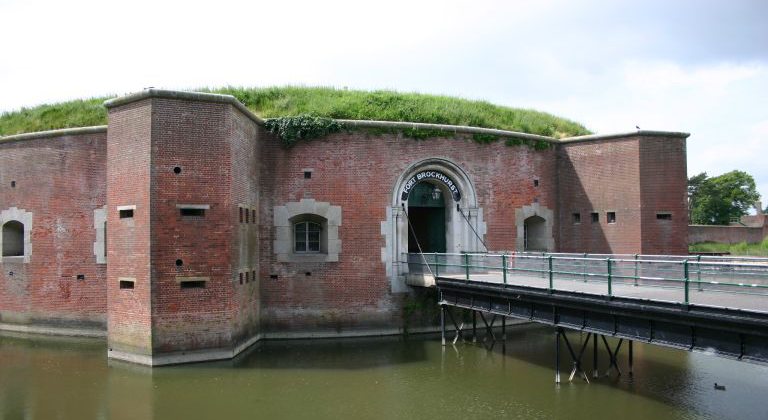 About today, 3 March 1915, George Calderon returned to barracks at Fort Brockhurst near Gosport in Hampshire. He had lost about a month through illness. Now his training probably began in earnest. The aim was to make him, at the age of forty-six, into a model lieutenant versed in the latest military techniques who could lead a platoon (about 60 men) in the 9th Battalion Ox and Bucks, teach ‘the men’ (i.e. privates), and train further batches of lieutenants. The need for fully trained men and officers from Kitchener’s New Army to go to the Front was becoming pressing. This entry was posted in George Calderon, Timeline and tagged Fort Brockhurst, General Kitchener, George Calderon, Gosport, New Army, The Great War, World War I. Bookmark the permalink.